ASK Arlian Ecker what drives him crazy and he lets out a big sigh. 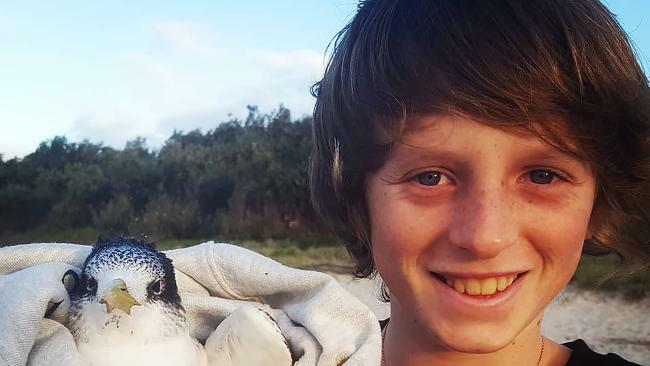 There's plenty that sends the Byron Bay 12-year-old up the wall but they're all to do with single-use plastics. "Oh my gosh - coffee cups," he said. "Where do I start? Coffee is part of nearly every adult's day-to-day life. Every morning they go to the cafe and get a single-use coffee cup and really, it's just convenience. "If it's parents and they think it's normal, they don't think about their kids, that this coffee cup will damage my child's future." Arlian pulls out statistics from the top of his head. "Australians are using 1.7 million single-use coffee cups every day, so you can see it has a dirty and destructive impact on the future," he said. And don't even get him started on the plastic bag ban rage Australians had earlier this year when states moved to stop having the single-use kind at Coles and Woolworths. "When the plastic bags left, they were like, 'Oh my god, what's happening' - hello it's saving the environment," Arlian said. "You can remember to bring one, it's not that hard. In other countries it's much more different. Like in Austria for example, it's normal to bring your bags. "Australians are from another planet." 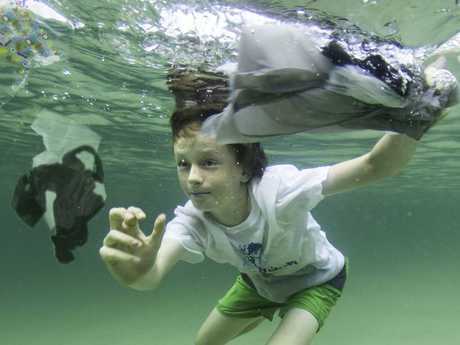 Arlian Ecker aka the Plastic Free Boy with rubbish in the ocean. 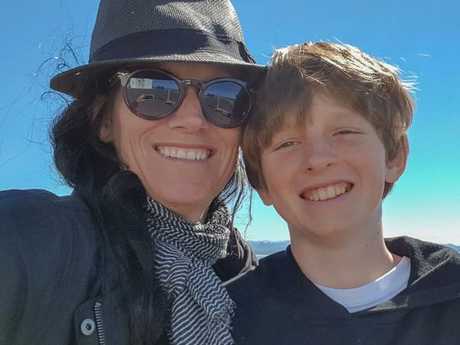 The eco warrior - dubbed Plastic Free Boy - made headlines when, with the help of his filmmaking mum Karin, created a mini documentary called Plastic Alarm for kids about the damage plastic was doing to the environment. 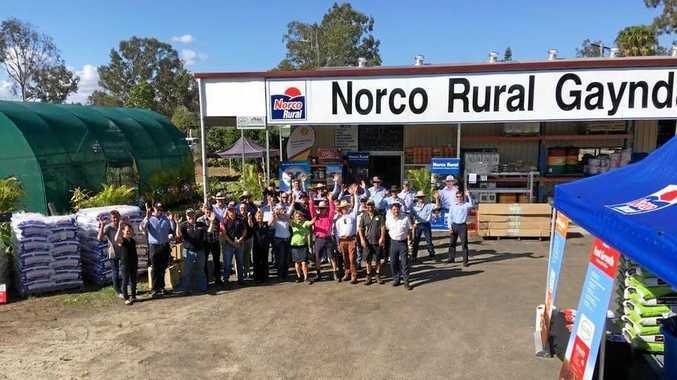 Arlian tries to get the message out to families through kids. So far his film has been shown in 30 schools around Australia and one in Switzerland, and online it's been viewed 2000 times. "The second rule is to educate the people around you about the problems of plastic pollution so they can make better choices. "When kids are going shopping with their parents, do not use single use plastic bags - and also recycle. "I was just thinking to myself, Australians have been using single use plastic bags for such a long time now. It's drilled into their minds it's a normal thing to do, it's OK for the environment and it's, 'Meh, whatever'." Arlian, who also speaks at schools and will be keynote speaker at the inaugural Brisbane Eco Expo from September 14-16, said these days he was getting picked on less. "Less kids bully me and instead of saying, 'Go put our rubbish in the bin, Plastic Boy', they say, 'Good job with you're doing'. "I think it's really good when the kids get educated, they pass it on to their parents and it gets passed around and can spread the message so much." Arlian and his mum are trying to make sure their film has real impact, so they are asking schools to buy it on their website so they can raise funds to make more documentaries and expand their audience to high schools. Arlian with his mum Karin, who is a professional filmmaker.